This is the fourth conference of CTFM conference series. 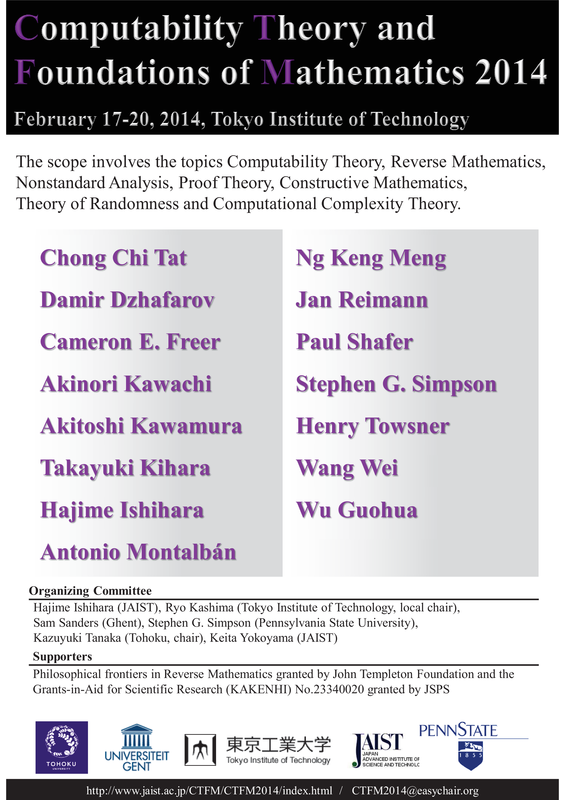 See also the last year conference Computability Theory and Foundations of Mathematics 2013 (February 18 - 20, 2013, Tokyo, Japan). CTFM acknowledges support from the research project Philosophical frontiers in Reverse Mathematics granted by John Templeton Foundation and the Grants-in-Aid for Scientific Research (KAKENHI) No.23340020 granted by JSPS. [New Information! 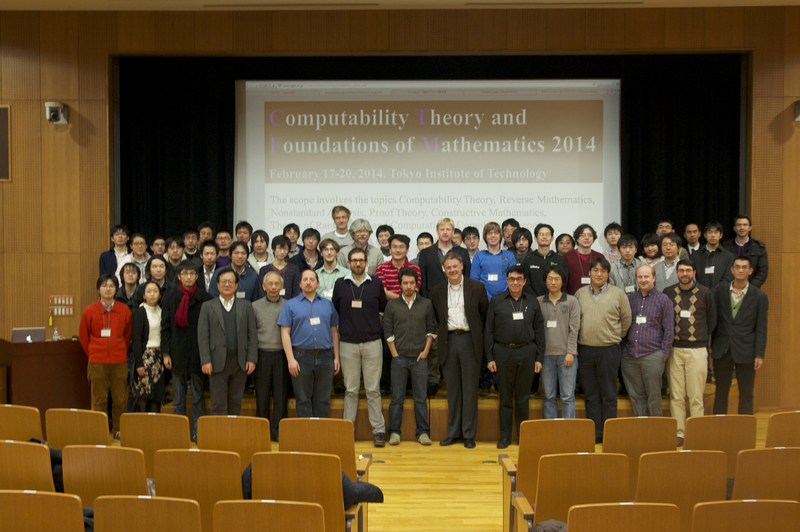 ]Conference photo was uploaded. [New Information! ]Some presentation slides are available (linked from the timetable page). Registration is closing soon (Deadline: February 7, 2014). Sendai Logic School 2014 at Tokyo Tech was added to Co-located Meetings. Information of Reception Party was added. Registration for participation started (Deadline: February 7, 2014). The offer of presentations was extended to January 22, 2014. Submitting for Presentations was added. Meeting room and Campus map were added. E-mail to the PC members was added. Organizing committee and Program committee were added. The offer of presentations is from December 15 to January 15. The conference will take place on February 17--20 at Tokyo Institute of Technology. copyright (c) Computability Theory and Foundations of Mathematics All rights reserved.